Alpaca fleece is highly prized for its lightweight warmth, its silky feel and rich luster. 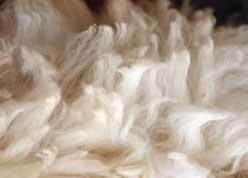 Alpaca fleece has a wavy or crimped appearance that enhances its easy use in spinning and weaving. The fibers come in nature in 22 natural colours - from white, cream, beige and camel to brown, grey and black. Alpaca fiber washes easily and, since there's no greasy lanolin, there's no woolly smell when it gets wet. Today, alpaca fiber is used to create the world's finest textiles and is treasured by the fashion industry, as well as by hand spinners and weavers. 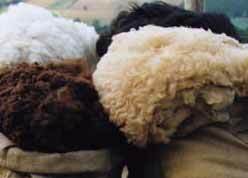 Compared to sheep's wool, alpaca fiber is three times stronger, seven times warmer, and much softer. Alpaca fiber can be mixed with silk, mohair or lambswool to produce a wide variety of luxurious garments. An alpaca sweater, scarf or hat is a comfort and a joy. alpaca cloth is, in my judgment, the finest lightweight in the world. Alpaca is pure, it's resilient, it breathes"